Each and every client brings something new to the table. Different types of websites as a whole is one thing, but each one brings it’s own personality along with the person behind it. I love designing specifically for your brand. Your audience. I consider it such an honor to be part of your journey. So thank you! A passionate heart for excellence as she pays attention to detail and managing multiple people from all walks of life. Noelle is a trainer, a teacher, a mentor, and an encourager as well as an organizer and administrator and manager. Her energy is apparent as she undertakes each new avenue; her unbelievable ability to multi-task is apparent as she works non-stop to achieve her goals. It's been a pleasure and an honor to work with Noelle. I have found Noelle to be one of the most knowledgeable, positive, encouraging, and inspiring women I've met online. She is an expert in webinars, and is an excellent speaker, writer, and teacher as well. She is a woman of integrity with a strong faith in Christ and has a huge heart of love. Her devotion to her family is evident and inspiring. I highly recommend working with Noelle for your webinar or other online business needs. 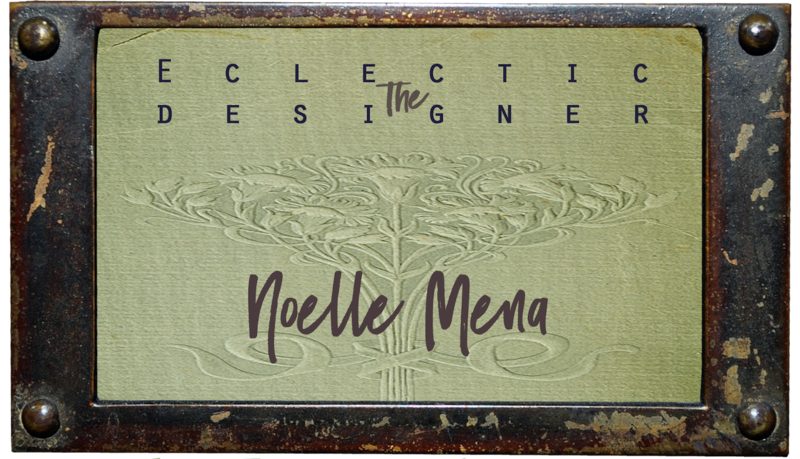 Noelle is a top notch web-designer with an amazing professional & creative edge. I have loved working with her and will definately recommend her to anyone needing web-design assistance. My husband Peter and I were very impressed by Noelle's efficiency, professionalism, courtesy, and her willingness to catch the vision of this next phase of our ministry. Noelle, is patient, talented and gifted and she cares about the end result being exactly what you desire. I could see immediately God was leading her. My ministry is like my "baby", and just as I did not easily put my own children into the hands of someone else when they were young, so is true with the ministry God has given me stewardship over for 15 years. However, it was with ease I released it to Noelle's creativity and enthusiasm. I highly recommend Noelle and the services of Mena Vision whether your needs are personal or professional. She went beyond what was expected. You will not be let down. I look forward to my next project with Noelle. Noelle Mena was a pleasure to work with before and during our campaign. Not only was she very responsive to our questions in a timely manner, she also provided valuable input as to how we could get the best results from the campaign. I highly recommend working with Noelle and support her in what she does for Christian Women worldwide. Noelle is a very professional and caring woman. She has a huge heart for helping women and that is evident. Noelle Mena has the heart of a servant, and most importantly is very knowledgeable with videos, audios and technology in general. She is also a wonderful writer and speaker and would be an asset to your company or organization! When I think of Noelle, I think of a fun, energetic, motivated, driven and powerful world changer. She is absolutely, hands-down one of the most dedicated women I know. As a Webinar Host for CWA, I had lots of questions for her while learning how to set up webinars through her system and how to do it so that my audience would get a ton of value with as few technical glitches as possible. She was not only a great coach because of her patience, but she was also creative and gave great ideas that I could easily run with to make my webinars stand out from the crowd. If you are looking to partner with an amazing, fun and energetic God's Girl, then you must meet Noelle. I am honored to be in her space day in and out. Thank you, Noelle!! It has been such a joy to work with you on our three websites. You are very talented, creative and professional and knew exactly what we needed to make our websites "pop"! Not only are the sites beautiful but are functional and easy to navigate. Thank you for making our journey in promoting and enhancing the My Journey of Faith ministries websites extraordinary! If you need a website or update an existing one, Noelle is the go to person. She is creative, professional and knows her stuff. She is easy to work with and listens to your ideas (something not everyone will do). Noelle has added a custom design for my personal author website. I was so pleased with what she did, I have hired her to maintain all three of my websites that she built on a monthly basis. Thank you, Noelle!! We had been part of a "build your own" website for our industry where you filled in the blanks. No one ever mentioned our website and it was boxy & boring. My life coach suggested I contact Noelle. We met on Skype and within that hour she understood I wanted personality, class, flare... and there was NO WAY I was going to get there without help as I am "website silly". She talked about things from Mars. But I could feel that I could trust her. I put it in her hands and just picked out pictures I liked. Which most of my pics didn't even work as I really don't get this process. BUT...our website is FABULOUS and she did a great job crawling inside my head & expressing my vision online. Thank you Noelle... we are not finished. I will be in touch after the New Year!! I want more of your magic. Noelle is amazing! I hired Noelle to help me build a new website from scratch, which to me, seemed like such a big undertaking! However, Noelle made it seem easy. She is so genuine and easy to talk to; she just 'get's it'. She was able to see my vision and has done an incredible job with bringing my style into the web design. Thanks Noelle! Noelle's goal setting bears the mark of both a great starter and finisher. Personally, I have been challenged and encouraged by her enthusiasm, encouragement and empowerment. Noelle is a creative and personable business woman. Noelle has detailed knowledge of what it takes to make talk radio a success. She came highly recommended to me and hasn't disappointed. My two-week summer project involved a lot of complex parts and Noelle’s support and skills were invaluable in executing the faith-based wellness program. She was forward-thinking which helped circumvent problems in advance. In addition, she was very enthusiastic and motivating to provide much needed support during critical times. Overall Noelle provided an exceptional value for her services. I firmly believe anyone that teams up with Noelle will benefit greatly. Noelle conducts and operates an amazing organization, offers direction when necessary, and encouragement when needed. I thoroughly enjoy the opportunity of knowing her and working with her. I highly recommend her professionalism and work ethic. She is creative, whimsical, and extremely dedicated to excellence. It has been a joy to work for Noelle. She is kind and helpful, while calling me to learn new things. She requires excellence and holds the bar high! Working under Noelle's refreshing leadership has helped me to grow as a writer and business owner. No matter what task or adventure lies before her, Noelle has the confidence and abilities to get the job done! Noelle is one absolutely incredible woman. She serves, leads, dreams, lives with such passion. Her heart to glorify Christ in all she does spills over onto everyone around her. She is a visionary, coming up with ideas that would take people years to come up with. Not only is she a visionary, but she is also a developer, she takes these amazing ideas and develops them into well thought out systems. It's a rare combination to have someone who is a visionary also be someone that can develop the ideas. The creativity, the team building, the leadership skills she possesses make her one amazing woman. Noelle has passion for her work and to bring out the best in everyone she works with. She has clear vision, focus, and meets goals on time and beyond expectation. God truly gives us what we need at the right times, and our connection was very much a gift for both of us! Noelle’s knowledge of social media and how it all connects amazes me! I can't say enough great things about Noelle! It would be a pleasure to work with her on any project. Even for a techno-phobe like me, she's made the process easy and understandable. I've also learned a lot from her about stepping out on faith with what God has called me to do. She's always available for questions or just to talk.